The Most Common Causes of Car Accidents | DeLoach, Hofstra & Cavonis, P.A. 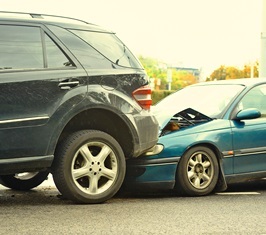 What are the most common causes of Florida car accidents? Nearly every American will be involved in a car accident at some point in his or her life. While it's the responsibility of every driver to stay safe on the road, many people engage in risky or even outright dangerous behaviors that place them and others at risk. By learning the most common threats to road safety, drivers and passengers can recognize danger early on, and maybe even prevent an accident before it happens. The National Highway Traffic Safety Administration (NHTSA) has performed numerous studies on car accident causes over the years. Each year, driver error is by far the biggest single cause of car accidents nationwide, with a much smaller percentage of accidents caused by vehicle malfunction or adverse road conditions. Distracted driving. Distracted driving has been on the rise since the invention of smartphones, with as many as one in four auto accidents involving some level of distraction. Cell phone use is the biggest distraction, including talking on the phone, checking email and social media, or texting while driving. If a driver doesn't notice the lights change, hits the brakes suddenly, or is holding one hand up to his face, stay well clear of his vehicle in traffic—and of course, resist the urge to use your phone. Impaired driving. While alcohol and drug use is less prevalent than distracted driving, it's still a leading factor in accidents that involve fatalities. Drinking and use of illegal drugs or prescription medications can decrease reaction times, impair judgment and vision, and even cause hallucinations. If you see someone acting erratically on the road, always report the behavior to police. Your actions could stop the impaired driver from causing a crash. Drowsy driving. Drowsy driving carries many of the same risks as driving under the influence. While it's not illegal to drive while fatigued, tired drivers place both themselves and others at risk if they fall asleep while driving. Even if they don't fall completely asleep, their comprehension and motor skills are still impaired. Beware of drivers who “drift” in and out of lanes, as this is a common sign of fatigue. Reckless driving. Reckless driving is a combination of risky or illegal maneuvers that increase the likelihood of an accident. Aggressive actions such as speeding, tailgating, or “chasing” other cars due to road rage can be considered reckless, as can running a red light or engaging in street racing. A driver can be held liable for an accident if he or she was traveling too fast for weather conditions, such as a downpour or heavy fog, even if the driver was within the posted speed limit. Unsafe lane changes. Many accidents on the freeway are a direct result of unsafe lane changing, such as late merging or failing to signal a lane change. These types of accidents can also occur on city streets, in traffic circles, and anywhere two lanes of traffic flow in the same direction. The majority of these accidents can be prevented by leaving plenty of space between vehicles, leaving enough time to complete the lane change safely, and checking mirrors and blind spots before proceeding into the desired lane. Road conditions. Even if all road users are driving as safely as possible, they're still at the mercy of the road surfaces and driving conditions around them. City and state governments have a duty to make all public areas as safe as possible, including the roads drivers use every day. Potholes, oil slicks, spilled gravel, dangerous curves, road debris, and other hazards can easily cause a driver to blow out a tire or lose control of the vehicle. Car defects. From the design of your vehicle to the different components installed in its many systems, automobiles have an almost limitless potential for malfunction. If your car wasn't performing properly before or during a crash, the manufacturer could be held liable for selling a dangerous or defective product. If you need help after a car accident, we can get you the compensation you deserve—and you won't have to pay our firm anything until you receive compensation. Fill out the contact form on this page today to set up your consultation with an injury attorney.